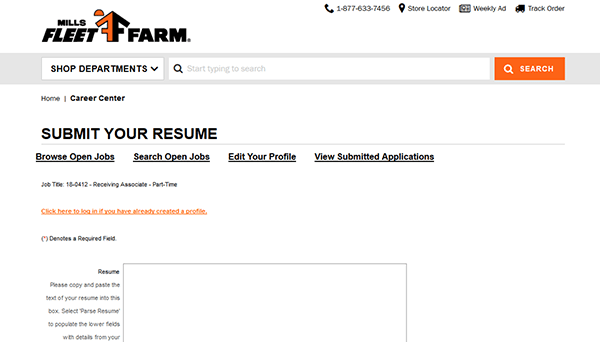 Use the various link posted on this page to access the official Fleet Farm job application online. Numerous types of careers can be searched/applied for via the company’s online careers site. Learn more about the online application/hiring processes by following the steps in the guide posted below. The company’s careers webpage allows you to search for current job openings, learn more about the types of positions that are available, as well as apply for numerous careers. 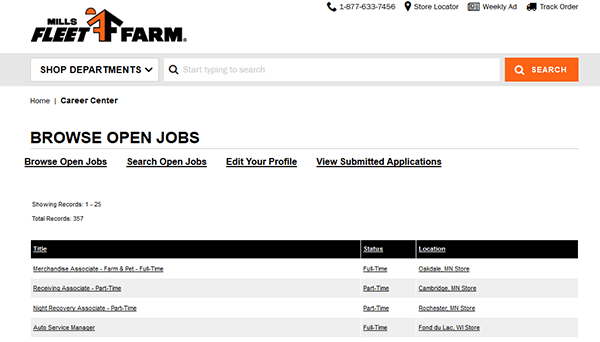 About the Company: Fleet Farm is an American chain of retail stores based out of both Minnesota and Wisconsin. The company operates more than 30 retail locations throughout the Midwest. 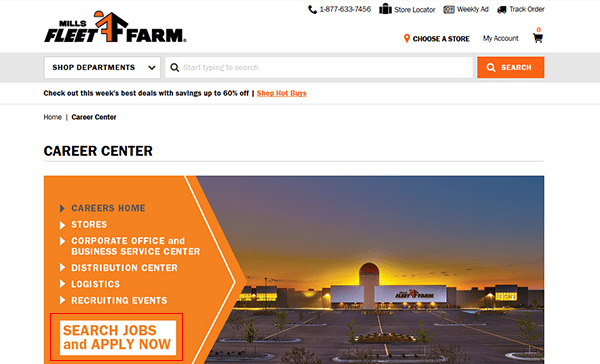 Fleet Farm was formed in 1955 and is owned by Kolhberg Kravis Roberts. Step 1 – The first step of the online job search process is to go to the “Career Center” page. Click this link to have the career center site open in a new tab/window within your current browser. 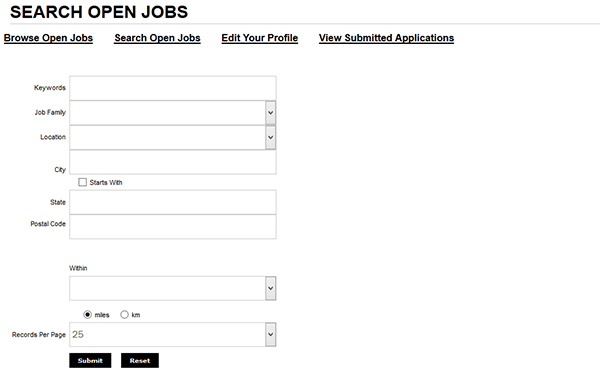 Step 2 – Click the “Search Jobs” button/link as outlined in the below screenshot to be taken to the main job search page. Step 4 – Click the job title/link of the specific position that you want to start the online application process for. You will be taken to the job description page. 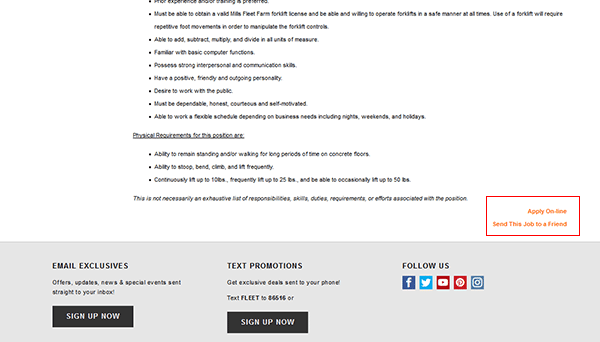 Step 5 – Read the complete job description, scroll to the bottom of the section, and then click the link as outlined in the below screenshot (to move to the next step/part of the process). Step 6 – Press the “Click here to create a new account” link to go to the account registration page. Step 7 – Submit Your Resume – Enter all of the required information into the input fields within the form and then click the “Next” button near the bottom of the page to continue.